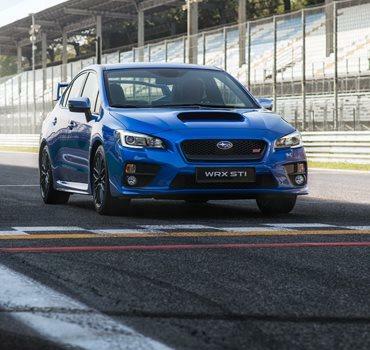 Born of generations of World Rally Championship success, the iconic All-Wheel Drive WRX STI redefines what it is to drive. Motorsport looks, performance and power in a road-ready package. It’s the closest you can get to owning a rally car. Brembo® Brakes - Powerful Brembo® brakes ensure high performance braking capability for maximum safety and control. Large ventilated discs are served by distinctive yellow calipers. 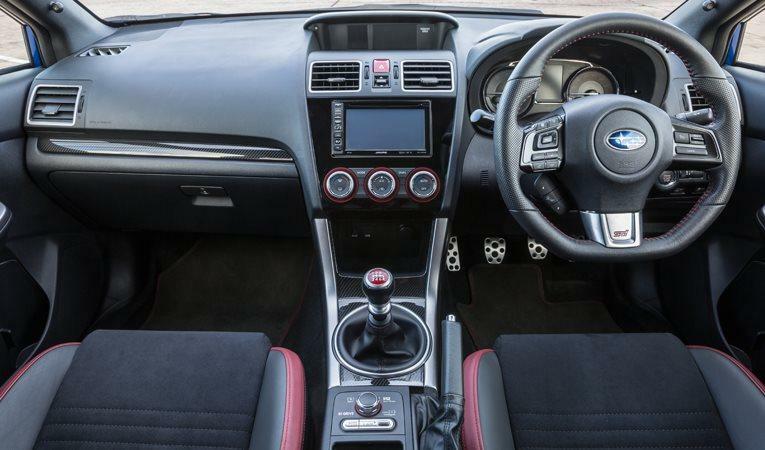 Multi-Mode Drivers Control Centre Differential - Tailor the torque split between the front and rear wheels to adjust handling. Increase power to the front for more traction, or divert to the rear for tighter cornering. 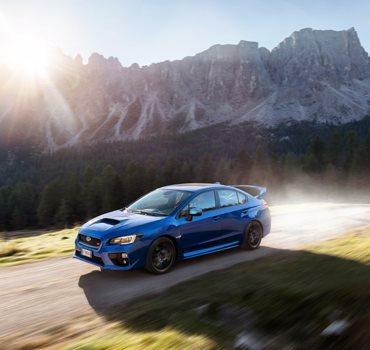 Permanent Symmetrical All-Wheel Drive (SAWD) delivers power to all four wheels at all times ensuring enhanced control of WRX STI on or off-road - even in poor conditions. The entire drive system, from the Boxer engine to the rear differential, is mounted in a straight, symmetrical line, delivering stability and balance. 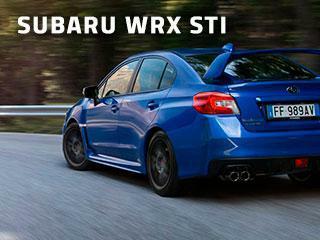 The WRX STI’s SUBARU Boxer engine has a longitudinally-mounted horizontally-opposed configuration. The pistons are placed 180 degrees apart allowing a lower, flatter engine profile. This gives the powerplant - and therefore the whole car - a lower centre of gravity. 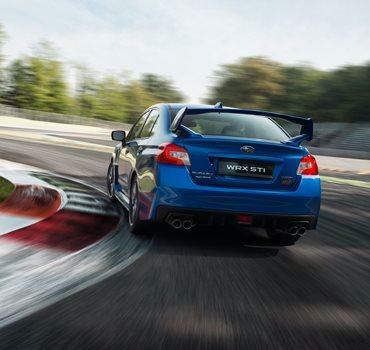 This more balanced weight distribution gives the WRX STI exceptional handling and poise. Active Torque Vectoring (ATV) helps prevent understeer and oversteer. By braking the inside wheels under cornering and delivering greater torque to the outside wheels, ATV ensures a predictable course through corners. 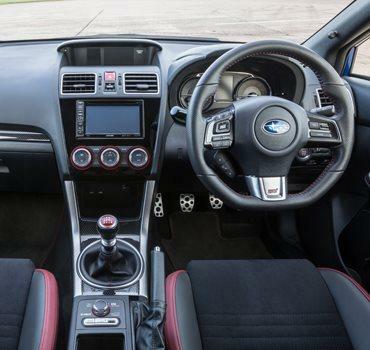 The SUBARU infotainment system lets you make phone calls*1. You can control operations via the central multi-function touchscreen, steering wheel controls, or simply use your voice. It’s easy to connect your smartphone or other mobile music device via the USB or standard AUX jack. LED self-levelling headlights adjust the beams automatically to reflect the vehicle’s load, preventing glare that could dazzle oncoming traffic whilst maximising visibility.